What John Bolton once said of the United Nations Secretariat building — “if it lost 10 storeys it wouldn’t make a bit of difference” — applies in spades to the European Union. Though, frankly, why stop at 10 storeys? So why is the British Establishment so determined to remain shackled to this rotting corpse? Well, I’ve mentioned before the Ancien Regime mindset of Britain’s political class — aka the “Westminster bubble” — and their determination to cling on at all costs to their power base. But another way of looking at it is the divide outlined recently in a brilliant piece in the Telegraph by Allister Heath. If you’re reading this you are almost certainly, like me, a New Radical. There is hardly a day that passes without the news agenda triggering the New Radicals, and convincing them that we are decaying at an ever-faster rate. Their essential critique is that Britain’s establishment – in politics, in culture, in the public sector, in some big businesses – is decadent: that it continues to party while Rome burns; that it is pathologically self-absorbed; that it behaves as if the world owes it a favour, as if it deserves all of its privileges, as if the current order will go on forever even though it is clear that it is fast unravelling. This is very much the EU’s vision: that if only we can keep fine-tuning the world with ever more detailed regulations we can eventually achieve nirvana. Problem is, as we’re seeing, many if not most people think that the EU’s version of nirvana — the kind of PC paradise once satirised by South Park in its ‘Death Camp of Tolerance’ episode as “People of all colours and creeds holding hands beneath a rainbow!” — stinks. Hence the march of the New Radicals across the world: Trump; Bolsonaro; Orban; Salvini; etc. — plus, of course, the Brexit vote in the EU referendum. As Robyn once so eloquently put it in this song, we really don’t like being told what to do. Especially when we have zero respect for the pampered bureaucrats imposing the rules. But anyway, back to my intro and all those black limousines below the EU Parliament building. I bet if you’d gone to Moscow, even as late as the 1980s, you would have found in the Kremlin’s underground carpark a similarly spectacular fleet of black Zils waiting to transport the Party’s senior apparatchiks wherever they wished. 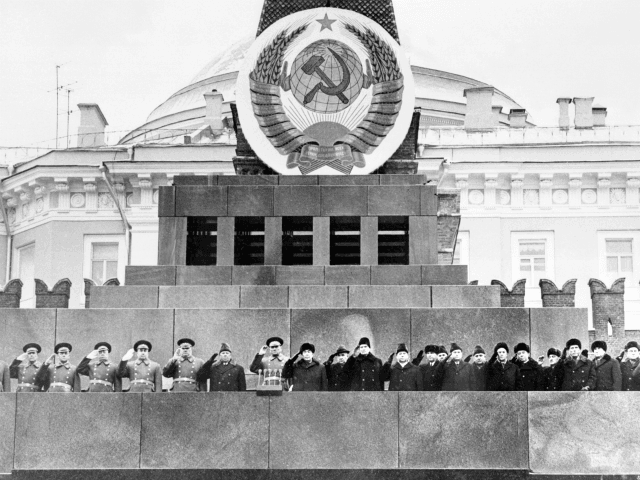 And I expect if you’d seen all those Zils you would have been fooled by that display of opulence and power and organised uniformity into imagining that the Soviet Union was there to stay for a very, very long time into the future. Perhaps all those MEPs and Commissioners and assistants and attaches and drivers and security guards and presidents I glimpsed in Brussels last week nurture similar delusions. If they do, though, I’d say they are living in a fool’s paradise.